A season high on results and mixed on performances took a dismal turn on Tuesday night as Liverpool slumped to a shock 2-0 defeat against Red Star Belgrade in the Champions League. Having triumphed 4-0 in the reverse fixture at Anfield, Liverpool knew they would be in for a tough night with the intimidating Serbian atmosphere but the Reds produced almost nothing on the pitch, allowing their opponents to feel comfortable in a game where the opposite would have been expected. For the first time this season, Liverpool were truly poor in all departments, with the improving defence unable to protect a misfiring front line on an off night for the backline, emphasizing their improvement in the past year. However, there were no goals from Liverpool’s fearsome front three – Mohamed Salah, Roberto Firmino (who came on at half-time) and Sadio Mané – to help bail out the defence. The defeat in Serbia has thrown Liverpool’s previously encouraging prospects of qualifying from Group C into serious doubt, and could yet be the catalyst that ruins their hopes of progressing to the knockout stages. Liverpool next travel to Paris in the Champions League, where a win against French giants Paris Saint-Germain would confirm the Reds’ place in the last 16 of Europe’s premier club competition. Yet such a result feels unrealistically optimistic at this time when Jürgen Klopp’s side allowed Red Star to score twice against them and keep a clean sheet as well. Liverpool finish the group stage with a home clash against Napoli, who beat Liverpool 1-0 with a late winner in Italy in what was another poor performance – but not on the level displayed in Serbia. Carlo Ancelotti’s side are extremely dangerous, as two draws against PSG have demonstrated, and will fancy their chances of claiming enough points against Red Star and at Anfield to progress. Why not, after going unbeaten against PSG and winning at home over Liverpool? Group C is proving to be just as tough and as tight as most predicted, only Liverpool’s predicament is of their own making by slipping up against the so-called ‘minnows’ of the group. Red Star are tough to beat at home, having already drawn with Napoli, but Liverpool were awful and fully deserved to lose and leave their Champions League campaign in jeopardy. Midfield still lacking for Liverpool? Whilst Liverpool produced a terribly display all-round against Red Star, the midfield is now clearly becoming a standout problem for Klopp to solve. Not only does he need to find a balance which suits those midfielders available to him and protects the defence, but there is desperate lack of guile going forward. Liverpool’s big three in attack are missing the fourth member of their fab four, Philippe Coutinho – or his 2018 replacement, Alex Oxlade-Chamberlain. Coutinho’s presence in the side in a midfield three did cause problems defensively, but you could always rely on his Brazilian's boots to supply that extra magic and flair to open defences for the front three. Moreover, Firmino could rely on his compatriot to provide the ammunition so he did not have to load Liverpool’s attacking weapons himself. Too often this season Firmino has dropped too deep, looking for the ball from a midfield unable to control games and supply effective forward passes consistently enough. The combination play that thrilled Liverpool fans and terrified defences last season has been sorely lacking so far in this campaign. Whilst the front three have not shown the same scintillating form of the spring, there is very little help from the midfield. When Coutinho left for Barcelona at the start of the year, many feared Liverpool’s creativity would nosedive immediately but Oxlade-Chamberlain picked up the mantle and swapped silky swagger for direct, powerful thrust. The former Arsenal player’s approach was just as effective, if not more, than Coutinho’s for the front three, as Liverpool surged through to the Champions League final and a second successive top-four finish. 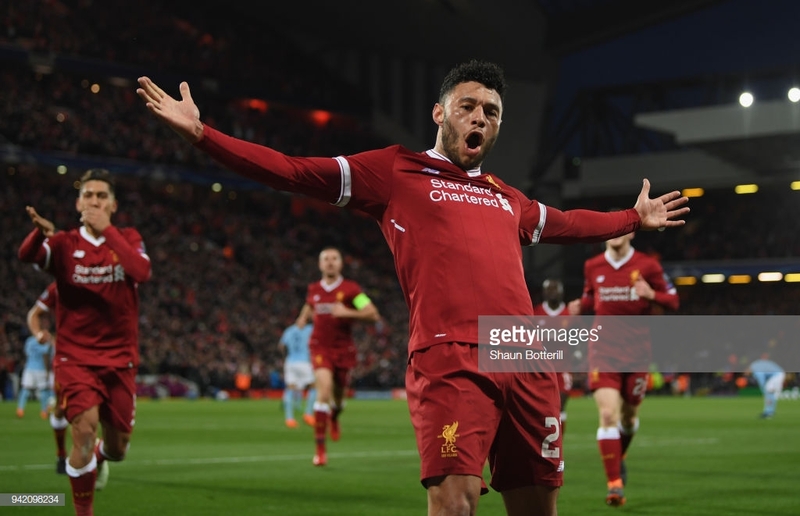 Sadly Oxlade-Chamberlain ruptured ligaments and damaged his knee in the first leg of the Champions League semi-final against Roma last season and will be out for most of, if not all of this season. Oxlade-Chamberlain’s injury has been a huge blow to Liverpool and forced Klopp to search for another attacking midfielder in the summer, only to come up short. Klopp was obviously aware of the problem when he attempted to recruit Nabil Fekir from Lyon. However, the Liverpool manager would be frustrated as the deal collapsed just as the £50m-plus transfer was drawing near, with medical issues the apparent cause of the breakdown to bring the Lyon captain to Merseyside. If fitness was indeed the reason, then a second pursuit of Fekir by Klopp in January seems unlikely, but the search for a creative midfielder cannot end there, not when a potential Premier League title is at stake. Klopp clearly wanted a whole new midfield trio, with Fabinho and Naby Keïta already recruited, to close the gap on Manchester City, but the Liverpool manager is only two-thirds through his midfield recruitment, while Fabinho and Keïta have not yet produced their Monaco and RB Leipzig form respectively. Consequently, without Coutinho’s creativity and Oxlade-Chamberlain’s thrust, Liverpool’s attacking midfield options have become limited. Can anyone in red step up? Xherdan Shaqiri is a great signing, and has improved the side almost whenever he has played this season, but Klopp does not appear to trust the Swiss international defensively and he is not quite at the same level as the two above, although could improve further with more matches. Adam Lallana’s best days in a Liverpool shirt appear to be behind him, after he struggled again against Red Star. Lallana was one of Liverpool’s best performers in Klopp’s first two years at the club, but injuries have since taken hold and Liverpool’s team looks to have evolved to such an extent that Lallana has been permanently left behind. Whilst not an out-and-out number ten, Keïta’s long-awaited arrival has only produced flashes of the brilliance that the Guinean international displayed with such regularity in Germany. Hopes were high that Keita could become a world-class number eight that the Reds have lacked since Steven Gerrard’s departure. However, Keita still needs time to settle, overcome injury problems and showcase why he is a world-class talent – yet even then that would be as a number eight, rather than the ten Liverpool have lost since Coutinho’s departure and Oxlade-Chamberlain’s injury. In all other positions, Liverpool have both quality and strength in depth, ready to go toe to toe with Manchester City for the Premier League crown. The lack of a midfield spark, however, is threatening to drag the Reds down from the standards needed to match the defending champions, and must be addressed in January.